Law Web: Whether court can provide assistance for recovery of unaccounted money? 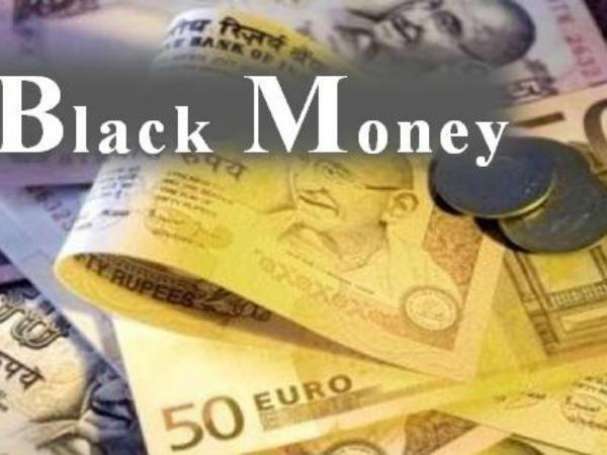 Whether court can provide assistance for recovery of unaccounted money? We have heard the learned Counsel for the parties. In our view the trial Court was absolutely right. The 1st Respondent is a money lender. He has admitted that he earned Rs. 30,000/- from money lending business. As a money lender he is statutorily bound, by virtue of Section 9 of the Kerala Money Lenders Act, 1958, to maintain books of accounts. His statement that he has not maintained the records which could be produced in Court is very significant. That statement coupled with the further statement that both the parties had agreed that these were to be unaccounted transactions required the Court to draw an adverse inference against him. of course under Section 118 of the Negotiable Instruments Act the Court is to presume that a negotiable instrument has been executed for consideration. However, in this case it has been established that there were chit fund transactions between the parties. It is also established that in respect of those chit fund transactions a sum of approximately Rs. 25,000/- was due and payable. It is established that that amount was not paid. It is an admitted position that No. suit was filed for recovery of that amount. Further having seen the suit promissory notes, as well as the other promissory notes, we are in agreement with the trial Court that all of them appear to have been got executed on the same day. All of them are in same hand writing and in the same ink. It is impossible to believe that over a period of two years the same pen could have been continued to be used. It is thus clear that these documents were got executed at the time that the chit fund transactions were being entered into by the parties. This rebuts the presumption that any consideration had flown under these transactions. In these circumstances it was absolutely necessary for the 1st Respondent to produce his books of accounts particularly as he has admitted that he was doing money lending business. 13. There is any reason also why the impugned judgment cannot be upheld. According to the 1st Respondent these transactions were to be unaccounted transactions. According to the 1st Respondent, all these amounts are paid in cash. If these are unaccounted transactions then they are illegal transactions. No. court can come to the aid of the party in an illegal transaction. It is settled law that in such cases the loss must be allowed to lie where it falls. In this case as these are unaccounted transactions, the Court could not have lent its hands and passed a decree. For these reasons also the suit was required to be dismissed. G. Pankajakshi Amma and Ors. Mathai Mathew (D) thr. L.Rs. and Anr. S.N. Variava and H.K. Sema, JJ. 1. Heard learned Counsel for the parties for about an hour. 2. The Appeals are disposed of in terms of the signed order. 3. There will be No. order as to costs. 4. These Appeals are against the judgment of the High Court of Kerala dated 5th January, 1998. The 1st Respondent filed, against the Appellants, two suits being Original Suit No. 6 of 1982 and Original Suit No. 48 of 1982 for recovery of a sum of Rs. 2,56,000/- with interest thereon. These two suits were filed on the basis of five promissory notes which are dated 17.12.1979, 16.1.1980, 14.2.1980, 17.3.1980 and 10.4.1980. These promissory notes were for sums of Rs. 56,000/-, 50,000/-, 50,000/-, 50,000/- and 50,000/- respectively. 6. The Appellants claimed that there were chit fund transactions between them and the Respondents. The Appellants claimed that in respect of the chit fund transactions, a large number of blank documents were got signed from them. Their defence was that apart from monies received under the chit fund transactions No. other amounts were received by the Appellants. The Appellants admitted that in the chit fund transactions a sum of approximately Rs. 25,000/-remained to be paid. The Appellants claimed that as the amount was not repaid, the 1st Respondent had misused the blank documents and filed suits on the basis of promissory notes. 7. During evidence the 1st Respondent admitted that there were chit fund transactions between the parties. The 1st Respondent admitted that in respect of chit fund transactions a sum of approximately Rs. 25,000/- was due. It was admitted that even though that amount had not been repaid, No. suit had been filed to recover that amount. The 1st Respondent deposed that the amounts of these promissory notes were advanced in cash to the Appellants and that these were separate transactions from the chit fund transactions. Evidence was also led of a clerk of the 1st Respondent (PW-3) who deposed that the promissory notes were in his hand writing. He admitted that they were got filled in the office of the chit fund. He however denied that all documents were executed on the same date. He deposed that these were executed on different dates when the amounts were being advanced in cash. 8. During their evidence the Respondents did not produce any books of accounts. When asked to produce books of accounts, it was stated that accounts were not maintained which could be produced in Court. It was stated that both the parties had agreed that these transactions would be unaccounted transactions. 9. The Appellants also gave evidence. They got marked a number of other promissory notes which were also got executed from them. They got marked demand notices in respect of amount due under the chit fund transactions. Their evidence was that No. amounts were advanced under these promissory notes and that these were being misused. 10. The trial Court examined the promissory notes which had been marked 'Ext.A1 to A5'. The trial Court also examined the other documents and concluded that all the documents, even though supposedly executed on different dates, were in the same hand writing and in the same ink and admittedly all of them had been filled in by the clerk. The trial Court noted that the 1st Respondent had not produced books of accounts even though he had admitted, during his evidence, that he earned a sum of Rs. 30,000/- from money lending business. The trial Court held that he was statutorily required to maintain books of accounts. The trial Court thus drew an adverse inference against the 1st Respondent and dismissed the suits. 11. The High Court has, by the impugned judgment, reversed the findings of the trial Court and decreed the suit. The High Court has held that since the promissory notes are printed documents and the signature is admitted, the suit should be decreed. The High Court has disbelieved the case that the documents were got executed in pursuance of the chit fund transactions. 12. We have heard the learned Counsel for the parties. In our view the trial Court was absolutely right. The 1st Respondent is a money lender. He has admitted that he earned Rs. 30,000/- from money lending business. As a money lender he is statutorily bound, by virtue of Section 9 of the Kerala Money Lenders Act, 1958, to maintain books of accounts. His statement that he has not maintained the records which could be produced in Court is very significant. That statement coupled with the further statement that both the parties had agreed that these were to be unaccounted transactions required the Court to draw an adverse inference against him. of course under Section 118 of the Negotiable Instruments Act the Court is to presume that a negotiable instrument has been executed for consideration. However, in this case it has been established that there were chit fund transactions between the parties. It is also established that in respect of those chit fund transactions a sum of approximately Rs. 25,000/- was due and payable. It is established that that amount was not paid. It is an admitted position that No. suit was filed for recovery of that amount. Further having seen the suit promissory notes, as well as the other promissory notes, we are in agreement with the trial Court that all of them appear to have been got executed on the same day. All of them are in same hand writing and in the same ink. It is impossible to believe that over a period of two years the same pen could have been continued to be used. It is thus clear that these documents were got executed at the time that the chit fund transactions were being entered into by the parties. This rebuts the presumption that any consideration had flown under these transactions. In these circumstances it was absolutely necessary for the 1st Respondent to produce his books of accounts particularly as he has admitted that he was doing money lending business. 14. In the above view, the impugned judgment is set aside. The order of the trial Court is restored. 15. The Appeals stand disposed of accordingly. There will be No. order as to costs.